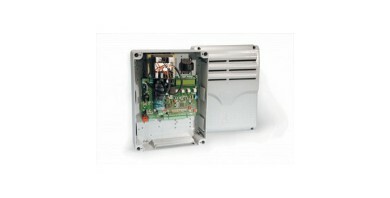 Came RE432RC Bi-Channel Receiver - Surface mounted bi-channel receiver for use with up to 25 transmitters. 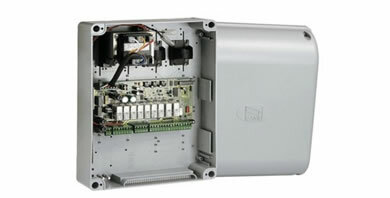 The Came ZA3N 230V AC Control Board. 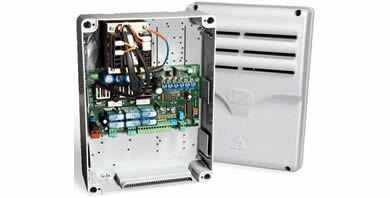 Multifunction control board with integrated radio decoder for use with 230V operators. 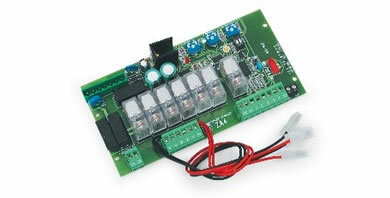 A Came ZL180 24v control board for two-leaf swing gates. Built-in radio decoder. A Came ZT6 230v-400v control board. 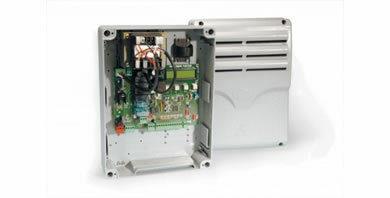 Built-in radio decoder and auto-diagnosis of safety devices. A Came ZL90 control board 24v DC two-leaf for swing gates with integrated radio decoder. 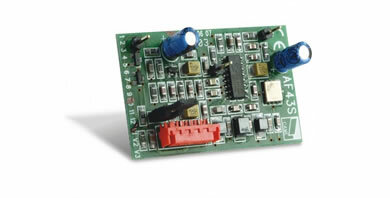 The Plug-in Came AF43S receiver board can be plugged on to all CAME control boards. It allows remote control signals to be received at 433.92Mhz. The Came ZA4 230v control board. The Came ZLJ24 24V DC Control Board. 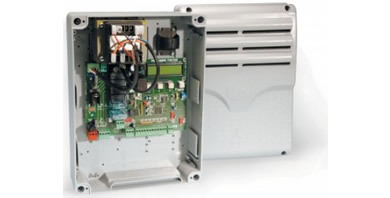 A Two-Leaf Swing Gate control board with integrated radio decoder. 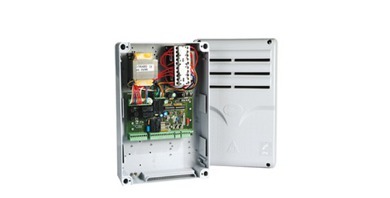 A Came 230V ZM3E multifunctional control board for two-leaf swing gates featuring signalling display, self-diagnosis of safety devices and built-in radio decoder. 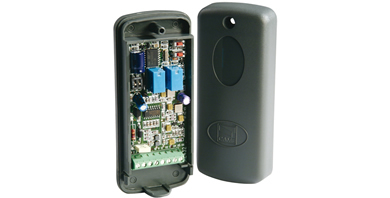 The Came ZL19N Control Board is for two-leaf swing gates and has a built-in radio decoder. 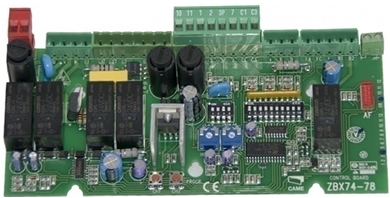 The Came ZBX-74 Control Board is for use with the Came BX74 & 78.